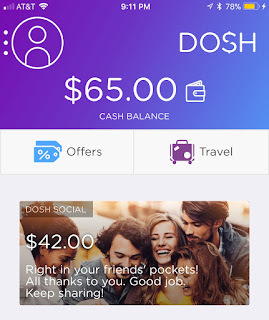 There is a hot, new cash back app called DOSH. This app will get you cash back for purchases at certain retailers. And for a limited time they are offering a fantastic referral program!! Download and refer your friends! You’ll get $15 for EVERY REFERRAL who signs up with your link! Plus, you get $5 just for signing up yourself! This special sign up promo is valid for two weeks: Sunday January 7-January 21st. -Download (Get $5 just for doing that). -Link a card (No you will not be charged ANYTHING). -Refer friends and family to do the same and you get $15 per person! In case you’re wondering, this app is real. I, personally, have already received $65 from them into my Paypal account…and I’ve already spent it. It was real money…. Feel free to comment with your own referral links as well! 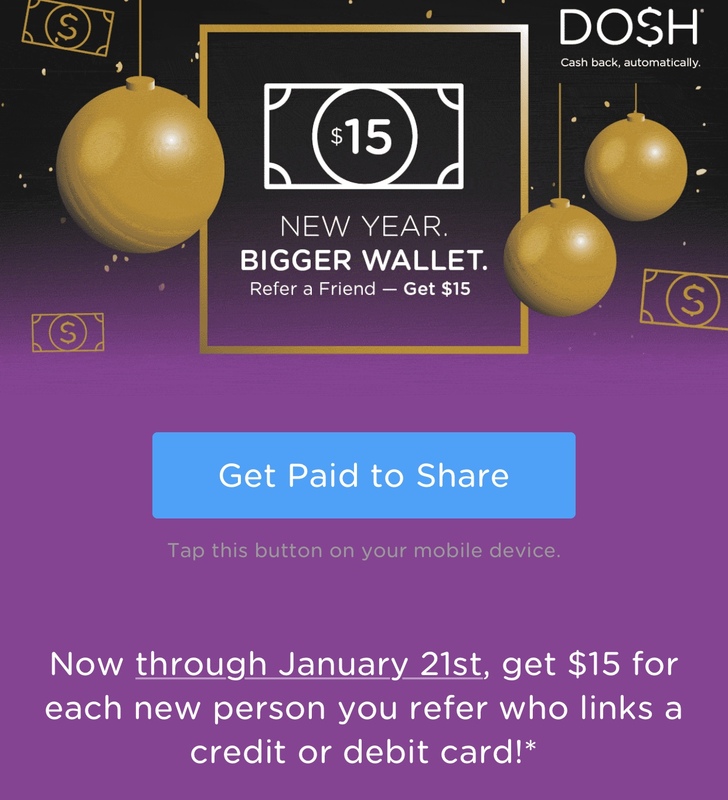 Share that referral link with all your friends and family and get $15 per person! This one is somewhat like Ibotta and Ebates with some different twists.